Last year was a big year, in so many ways. But one thing stood out far beyond the others in my world: 2017 was a year where women took a stand. We marched. We ran. We said #MeToo. 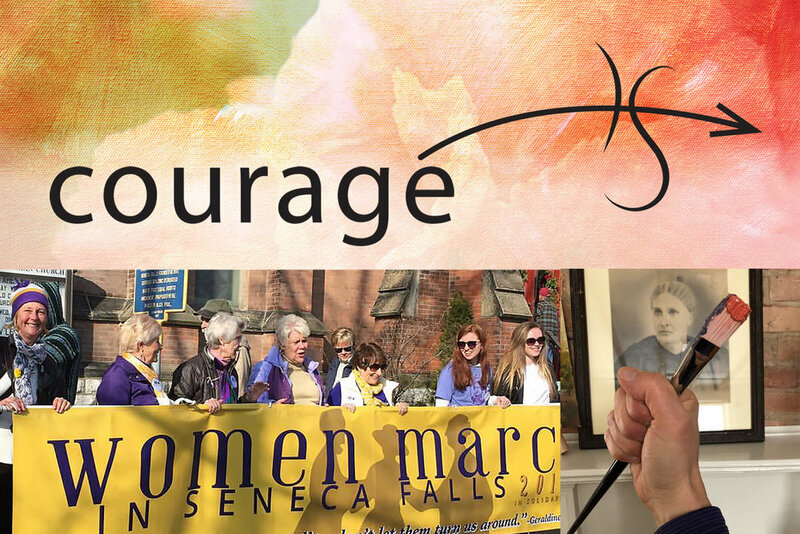 The year kicked off with a sincere admiration for the fearless women of the early 1800s as I, along with thousands of women, descended upon the small town of Seneca Falls, NY -- the birthplace of women’s rights and town where Elizabeth Cady Stanton appropriately dubbed her home the “Center of Rebellion” -- for the first annual Women’s March. The year ended with ever more admiration for the women speaking out as part of the #MeToo campaign. From A-list stars to friends and neighbors close to home, women -- and men, and young adults -- dug deep to uncover stories that are much easier to keep stashed away, in the name of setting a new precedent for what’s accepted in our society. I showed up to the Women’s March, then returned back to my day-to-day. I quietly added #MeToo to my feed, then moved on. But now, I know that I can’t stop there. Because I know what it’s like to feel stifled. To feel taken advantage of. And to feel like you don’t have a voice. Let’s rewind. I’m about to get vulnerable (practice what we preach, right?). As a little girl, I experienced something traumatic that would affect the rest of my life. It was a time of fear, of guilt, of sadness, of loneliness, of anxiety. I kept quiet and did the best thing I knew: I escaped into art. At the time, it was drawing. I’d channel that fear; that guilt; that sadness into my sketchbooks, feeling powerless in the real world but limitless in my art. It’s not an exaggeration to say this: Art saved me. Having an outlet for self-expression was my saving grace as I battled internally with far bigger issues. Decades later, I know that it isn’t about escaping; it never was. It’s about tuning into a higher power and finding your voice. It’s about turning inside and charging your own batteries. It’s about utilizing our ability to express ourselves that frees us and empowers others. It’s self-expression that drove Elizabeth Cady Stanton, a young mother living in a man’s world, to organize the Women’s Rights Convention. It’s self-expression that inspired Alyssa Milano to bring New York Activist Tarana Burke’s #MeToo campaign to the spotlight 10 years after its inception. Of course, no act of self-expression can be done without courage. The courage to stand for what you believe in and to share it beyond yourself, not knowing if anyone will stand with you. It’s self-expression that brings my brush to the easel each and every time I paint. But it’s courage that empowers me to amplify that self-expression; to make it stand for something; to share my voice. It’s time you and I both acknowledge the power we have to stand up -- and summon the courage to make it happen. For me, it’s painting. For you, it might be something else. But no matter the means: Choose your art. Fuel your self-expression. Be courageous.